In the last issue of European Pharmaceutical Review (vol 22, issue 2), Jeanne Moldenhauer suggested the pharmaceutical industry has moved at a “snail’s pace” in terms of implementing rapid microbiological methods (RMM). And this occurred even as regulatory authorities approved the use of these novel technologies as an alternative to the compendial sterility test. Fortunately, after three decades of rapid method availability, the pharmaceutical industry has finally started to seriously implement RMMs on a global basis. And this was recently confirmed during PDA Europe’s 11th Annual Conference on Pharmaceutical Microbiology. In addition to answering this direct question, the roundtable discussion also focused on the real (or perceived) reasons why many in the industry were hesitant about implementing RMMs and whether current regulatory views contributed to an apparent lack of commitment to change. As the moderator of the roundtable, I can now share the highlights of our dialogue. In most cases, participants responded, “yes” to the primary question, and provided additional comment to support their position. However, in a few instances participants believed certain aspects of RMM, or the way they are validated, may hamper the acceptance of RMM by the regulators. I will explore each of these discussion points in this article. Several participants stated that inspectors who have come into their facilities have reviewed RMM applications for in-process testing, such as purified water and water for injection (WFI) testing, without issue. We discussed the recent position of the EMA’s acceptance of RMMs for this type of testing; specifically, from the June 2016 Q&A document addressing production of water for injection by non-distillation methods – reverse osmosis, biofilms and control strategies.1 The set of questions and answers was intended to provide preliminary guidance until the revision of Annex I of the GMP guide was completed. At the time of submitting this article, the newly revised Ph Eur Chapter 5.1.6 had been published in Ph Eur Supplement 9.2, with an implementation date of 1 July, 2017. It was emphasised that companies who have discussed their validation plans with the authorities up front, used the EMA’s Scientific Advice procedure,4 and/or submitted and gained approval of a validation plan via EMA’s Post Approval Change Management Protocol5 or FDA’s Comparability Protocol6, resulted in a streamlined and successful validation outcome the first time around. In fact, participants noted that many regulators now encourage active discussion regarding RMM validation and implementation plans, and the Scientific Advice procedure may assist with this process. However, while the Scientific Advice procedure uses a committee that is supposed to represent all member states, it was agreed the advice is not legally binding. However, a few participants stressed that if a RMM validation is included in a new drug application or marketing authorisation, the timeline for product approval may be delayed. In this instance, these same participants suggested obtaining product approval first and subsequently validating and submitting the RMM change at a later date. 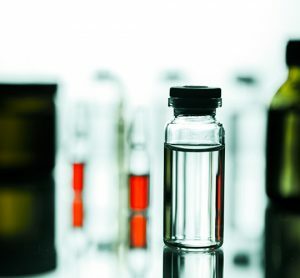 Because it is unclear whether a product submission would actually be delayed because an RMM validation package would need to be reviewed, it may be wise to discuss submission options with the regulators and/or make use of a pre-approved validation plan, such as the EMA and FDA options discussed above. Participants agreed that regulators would accept nucleic acid amplification techniques (NAAT), especially when compendial monographs or chapters are applied. For example, participants have employed the teachings in Ph Eur 2.6.79 when validating alternative mycoplasma testing methods. However, it was also pointed out that, depending on the regulatory authority, it might be more difficult to obtain approval for these types of methods, as other levels of sensitivity could be required. An example shared by one participant was a supposed difference in the required level of detection for mycoplasma using NAAT by the FDA versus the EMA. Obviously, discussions with the relevant regulatory authority would facilitate an understanding of the validation requirements for these types of RMMs. A few participants offered a thought-provoking opinion that, although RMMs are widely accepted by reviewers, inspectors may not be as understanding. This may be true, owing to inspectors not being directly exposed to RMMs or validation strategies until they arrive at a facility that has implemented these methods. Facilitating the perceived (or real) inconsistency between reviewers and inspectors was seen as an important endeavor among all participants. This could be achieved by involving the local inspectors in the RMM validation and implementation plan up front. Additionally, inviting inspectors into the facility to see the RMM in action while touting the benefits of the RMM application in terms of improving product quality and patient safety, may also achieve this goal. At least one participant stated some regulators (eg, the Swiss Agency for Therapeutic Products) might need to be notified of a change to use rapid methods before an inspection occurs. Some participants argued that regulators might not accept RMMs because there is confusion over the appropriate validation strategies. In particular, the three compendia do not necessarily agree with each other when it comes to how RMMs should be validated. I agree that the compendia are not in total agreement; however, I do not necessarily agree that regulators will not accept RMMs because of the discrepancies between the documents. The newly revised Ph Eur 5.1.6 has streamlined the directions for validating RMMs and has similarities with both the USP and PDA TR33. For example, chapter 5.1.6 specifies three steps during the performance qualification (PQ) phase of RMM validation: (1) verification of primary validation data given by the supplier; (2) verification for the intended use (eg, sterility testing); (3) method suitability. The Japanese Pharmacopoeia now has a chapter on rapid method validation, although additional clarification is warranted. For example, the chapter states: “Although it is important in principle that a new method should have an equal or greater capability than the conventional method, a new method may be used after verifying their validity, even in the absence of equivalence to conventional methods.”14 It is unclear how one can verify the validity of a rapid method but not confirm that it is at least equivalent to the existing compendial method. Although the three compendia are not completely harmonised, many companies have successfully developed validation strategies based on one or more guidance documents, including the compendia and PDA TR33. At the end of the day, it is the responsibility of each firm to develop and defend a robust validation programme that demonstrates a rapid or alternative method is suitable for its intended use. And companies have demonstrated this successfully. By far the most hotly debated topic during the roundtable discussion centred on RMM signals that are significantly different from the colony forming unit, or CFU. Some participants argued their internal regulatory affairs departments were concerned that the data generated by non-CFU RMMs would not meet existing microbial limits or specifications, which were developed based on the CFU. This, in turn, would prevent regulators from approving RMMs. 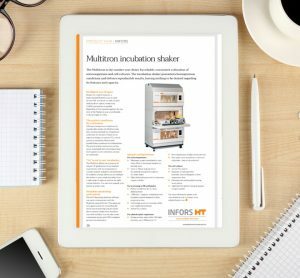 It is true that many RMMs produce signals not based on a CFU, and that some non-CFU based RMMs may detect and quantify viable cells that may not be effectively detected using conventional methods, media or incubation parameters. However, this does not mean current acceptance criteria would not be met or that regulators would not accept the use of such RMMs. In 2005, for example, the EMA explored the regulatory consequences of implementing an alternative method for rapid control of microbiological quality of WFI and purified water.16 Since it was expected that the water would continue to meet Ph Eur specifications, if tested, no change to dossier requirements would be involved and therefore no regulatory impact on individual products would normally be anticipated. PDA TR33 and the newly revised Ph Eur 5.1.6 state that you can compare RMM signals to conventional or compendial CFU-based data when validating the method and/or when demonstrating equivalence. 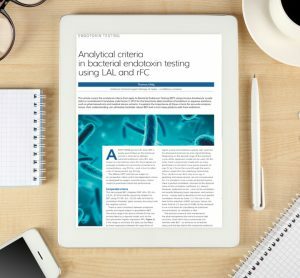 For example, Ph Eur 5.1.6 now states that equivalency testing of two qualitative or quantitative methods “requires an adequate comparison experiment at low levels of inoculation (eg, less than 5 CFU) with sufficient numbers of replicates for relevant strains of test micro-organisms.”2 Furthermore, 5.1.6 allows the comparison of quantitative RMMs that do not express CFUs with the compendial method by using suitable validation parameters followed by statistical analysis to demonstrate the numerical results of the RMM are compliant with the standards of the relevant Ph Eur monograph(s). And although the revised USP <1223> suggests a comparison between the CFU and other signals may not be possible, the USP still recommends comparing RMM data to the CFU. Specifically, under the Equivalency section, USP <1223> requires the use of a calibration curve showing a correlation between an alternative non-growth-based method and a growth-based method that reports outcomes in CFU. USP also advises that there should be a high correlation between the results obtained from an alternative method and the compendial procedure when verifying a quantitative procedure. Obviously, the compendial method will report results in CFU. 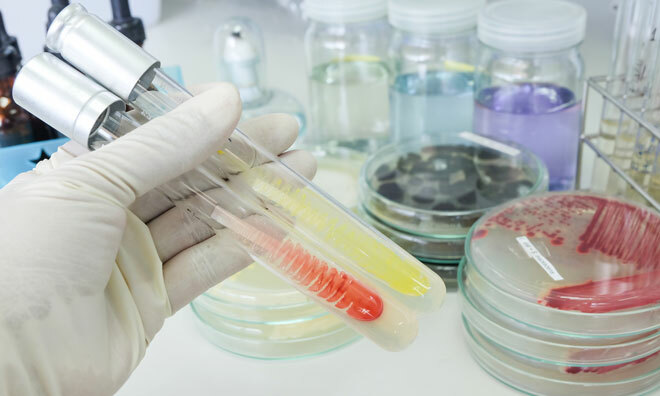 Finally, under the linearity section, the USP states the laboratory should determine a specification for the alternative method to correspond to the compendial specification for the required level of microbiological quality. For example, if the required level of microbiological quality is NMT 102 CFU, for which the compendial maximum acceptable count is 200 CFU, the laboratory will need to determine an acceptance criterion for the candidate alternative procedure that will match that value from the perspective of making a decision regarding microbial quality. Therefore, although there is a valid concern that some RMMs will provide a signal that is different from a CFU, this does not translate to an inability to validate or gain regulatory approval for use. Companies do not want their scientists talking with regulators. After an exciting roundtable discussion with approximately 75 participants, it became obvious that the regulators not only understand RMMs but also accept and encourage their use. Furthermore, and contrary to historical opinion, our worse enemy is not the regulatory authorities per se, but our own internal fear of change. Many multinational companies who manufacture and distribute pharmaceuticals have successfully validated RMMs in the spirit of product quality and patient safety and have successfully gained approvals for their use around the world. We should capitalise on these success stories and, as Jeanne Moldenhauer proclaimed, do not get left behind during the current rush to adopt RMMs. PDA has an extensive education programme in Europe. Please check europe.pda.org for more information. Dr Michael J. Miller is an internationally recognised microbiologist and subject matter expert in pharmaceutical microbiology and the design, validation and implementation of rapid microbiological methods. 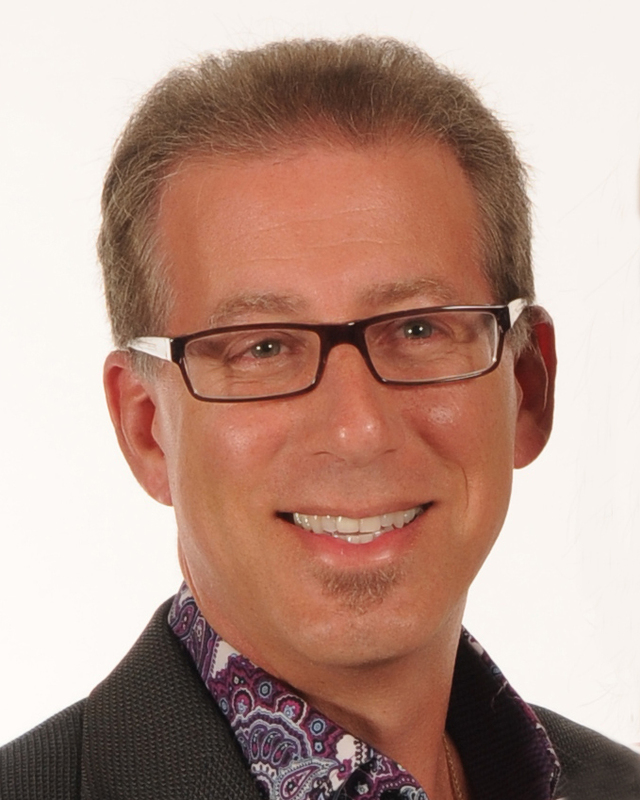 He is currently the President of Microbiology Consultants (http://microbiologyconsultants.com), and the owner of http://rapidmicromethods.com, a website dedicated to the advancement of rapid methods. Dr Miller has authored over 100 technical publications and presentations in the areas of microbiology, ophthalmics, disinfection and sterilisation, and is the editor of the PDA’s Encyclopedia of Rapid Microbiological Methods. Dr Miller was the chairperson for revising PDA Technical Report #33: Evaluation, Validation and Implementation of New Microbiological Testing Methods. Parenteral Drug Association. Evaluation, Validation and Implementation of Alternative and Rapid Microbiological Methods, Technical Report No. 33. Revised 2013. Validation of Alternative Microbiological Methods. United States Pharmacopeial Convention. US Pharmacopeia. <1223>. 2016. USP 39/NF34: 1616. Miller, MJ. Rapid methods update: revisions to a United States Pharmacopeia chapter. 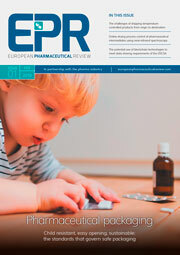 European Pharmaceutical Review. 2015;20(4):38-43. 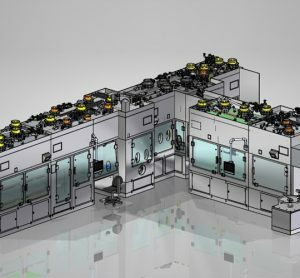 Gressett G. IQ, OQ and PQ Validation Project Overview – A Case Study. In Rapid Sterility Testing. Moldenhauer J (ed.). PDA-DHI Publishing. 2011.